Providing multi-dimensional support to all of our customers, our Unified Threat Management is an all-in-one software program that will eliminate network security risks and decrease operational costs. As technologies and hacker capabilities have continued to become more advanced, network security has become increasingly challenging for IT departments and system administrators. In order to prevent these threats from occurring, and to lower costs, many different organizations are now turning to a UTM more frequently than ever before. Spanning from small, private offices to large corporations, our Unified Threat Management software will provide your organization with complete network security and optimal protection. Combining individual security features like web filtering, web application firewall, data leak prevention, secure VPN, intrusion prevention, intrusion detection, anti-spam, next generation firewall and anti-virus, this world-class program will stop any unwanted threat from entering your network at the gateway level. Whether it's through our virtual UTM or UTM software, Nebero Systems will ensure that your network is continually protected at all times. Predicted to quadruple in size by 2015, cloud computing is quickly increasing in popularity. Because of this movement, many businesses are now starting to make the switch to remote cloud access and virtual appliances. Through the Nebero virtual UTM, your organization will have a virtual appliance established on your virtual server in order to protect your network. The Nebero virtual server is able to provide protection and security to a variety of different machines that operate virtually. In order for our virtual UTM to be effective, a virtual appliance is generally required. It is recommended that a bare metal machine is available with virtualization solutions instead of only virtual resources. With only virtual resources, you will not be able to leverage a UTM solution to its full capability and capacity. While virtualization continually grows in popularity, and will continue to do so, the Nebero UTM software is still one of the most common forms of Unified Threat Management protection. One of the biggest advantages that our UTM software offers when compared to a virtual Unified Threat Manager is increased scalability. This is important because, as a business continues to increase in size, it still has the ability to add software licenses, hardware, processors and memory through the software program. Another critical factor to consider is user licensing. Making our software more beneficial than our competitor's, we offer a lifetime user license for our UTM software. Because the Nebero UTM is multi-dimensional, there are a wide variety of advantages that are offered to different organizations. Decreased Complexity - Unified Threat Management options provide individual, simplified network security. 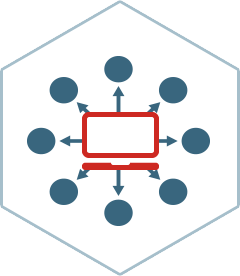 Easier Management - UTM allows for program management to be done both remotely and on-site. Additional Simplicity - By using Unified Threat Management, your organization will be given a multi-dimensional approach to network security that includes data leak prevention, web filtering, anti-virus, anti-spam and a next generation firewall.